Part I of this post was detail-oriented about my experiences on safari in Tanzania, but I also wanted to explain something else of what I experienced on an emotional level. I have been fortunate enough in my life to travel to many different places; you have my parents to blame when they took me on my first plane ride (to Florida) when I was 16 years old. I was bitten by the travel bug, and I’ve been taking trips ever since. Even the planning of them is fun – I research the destination, its history, the people and go from there. I’ve always believed that crossing borders helps to break down borders, and that visiting other countries helps us to learn tolerance and respect of other cultures, as well as offering discoveries not only of other places but also ourselves. When I return from a trip, I am usually glad to be home, even though it isn’t long before I am envisioning my next adventure far, far away. But Tanzania was different. I didn’t want to come home. Really – I didn’t want to come home. In all of my travels, in all of my adult life, I never felt more at home than when I was in Tanzania. I was home. The peace I felt in Tanzania, the quiet, the rightness of it is hard to describe. It was nature as it should be, without the technology or infrastructure or constant noise or smog or fast food or overcrowding. Just the animals ruling their kingdom, and a small number of humans trying to honor them in their habitat, without leaving too many footprints. We were the guests. On the day of our departure, each time we made a stop in our small plane, heading closer and closer to “civilization,” something in me would protest. My heart left a piece of itself imprinted on the land. Back at my American home, I wouldn’t think of sleeping with the doors unlocked or only a wall of screens between me and my neighbors. In Tanzania, out in the bush, on safari, surrounded by thousands of predators, I felt safe and at peace. I belonged there. Come to think of it, I probably do. A few years ago, my husband and I decided to take part in the National Geographic Genographic Project ( https://genographic.nationalgeographic.com ), which, with the DNA of participants all over the world, historical patterns in the collected DNA would be analyzed to learn about each person’s “deep ancestry,” or the migration paths of our ancient ancestors hundreds of thousands of years ago. What were the results of my ancestral make-up, my “ground zero?” East Africa. Which includes Tanzania, the place that felt like home. Where I belonged. My ancestors then migrated to West Africa, to Northern Africa (Egypt), then the Sinai Peninsula, Middle East, Eastern Mediterranean, to the Western Mediterranean. This route, from Eastern Africa to the Western Mediterranean, coincides with my paternal and maternal grandparents all emigrating to the USA (through Ellis Island) from Italy and Hungary in the early 1900s. 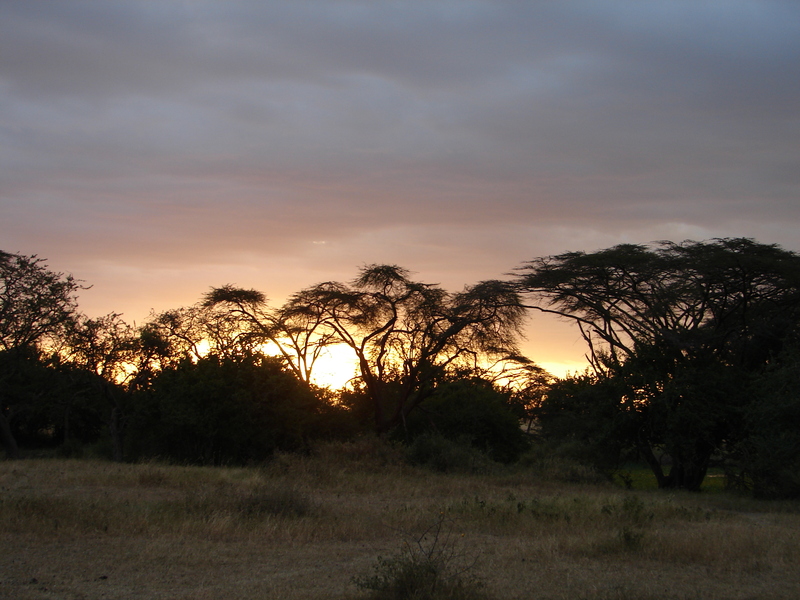 In Tanzania, my soul recognized that I was home. My cellular makeup affirmed where it all began. It was as if the land and the animals sang a song to my soul, and I answered its familiar refrain from so very long ago. I walked in the desert but had no thirst. I sat with the animals but had no fear. I watched the Maasai dance, and the rhythym of their drums was already a part of me. Its melody sang and my soul rejoiced. I will return to you, Tanzania. To your land, your people, your essence. I promised my soul it would once again dance in your sunset and be at peace. This entry was posted in Humor & Pathos, Personal Musings and tagged grace, soul, Tanzania. Bookmark the permalink.